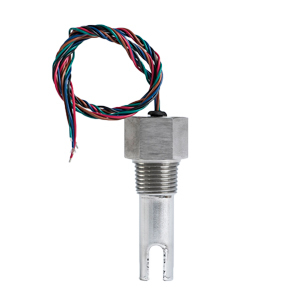 Ultrasonic liquid level switches are used in a wide variety of applications to detect the location of level in a process or storage vessel. 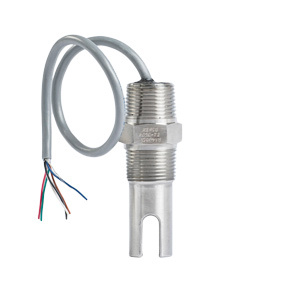 These switches can be used in virtually any liquid. A complete offering of materials and mounting configurations are available to meet your application needs. Ultrasonic switches use piezoelectric crystals to transform electrical energy into mechanical motion (sound). The Transmit Crystal sends a pulse of sound through the space between the crystals, to the Receive Crystal. If the space is filled with air, gas or vacuum, the Receive Crystal does not detect the sound pulse. However, if the space is filled with liquid, any liquid, the pulse is detected by the receive crystal, and the switch output changes. 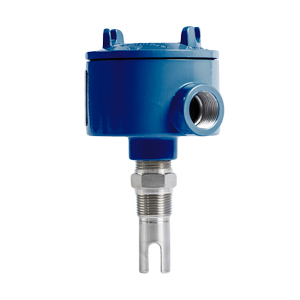 The Model KUST and KUSG are designed for industrial applications. 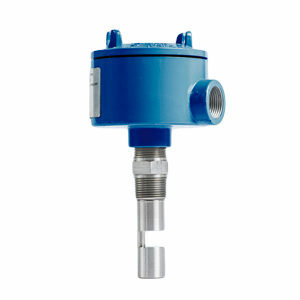 The Model KUSG contains a remote-test feature that allows you to test the operation of the switch and sensor on-demand. The Model KUSO is a low-cost alternative for OEMs (Original Equipment Manufacturers).